Specifically designed for medical applications the C-1R is a maintenance free device that requires only a simple periodic calibration to ensure reliable and accurate performance. Specifically designed for medical applications the C2R is a maintenance free device that requires only a simple periodic calibration to ensure reliable and accurate performance. 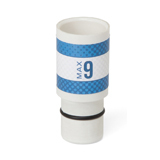 The C2R is designed for use in anaesthetic applications and has excellent resistance to interference caused by anaesthetic gases. 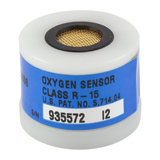 Offering long life and fast response, the high quality R-15 replacement sensor incorporates a moulded body design. 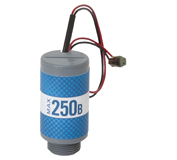 Specifically designed for medical use, this sensor also exceeds the demands of a modern operating theatre with added protection against long term effects of nitrous oxide. 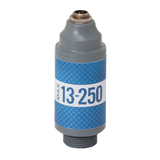 Best of all, the R-15 costs less than the sensors it replaces, creating additional savings while providing superior quality. 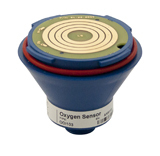 Offering long life and fast response, the high quality R-17 replacement sensor incorporates a moulded body design. 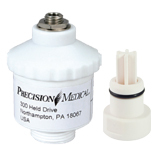 Specifically designed for medical use, this sensor also exceeds the demands of a modern operating theatre with added protection against long term effects of nitrous oxide. 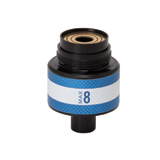 Best of all, the R17 costs less than the sensors it replaces, creating additional savings while providing superior quality. 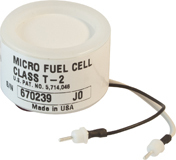 Offering long life and fast response, the high quality R-22 replacement sensor incorporates a moulded body design. 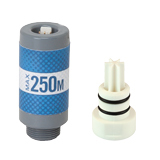 Specifically designed for medical use, this sensor also exceeds the demands of a modern operating theatre with added protection against long term effects of nitrous oxide. 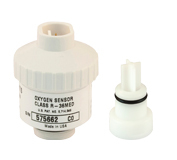 Best of all, the R-22 costs less than the sensors it replaces, creating additional savings while providing superior quality. 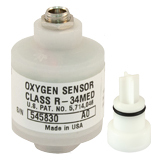 The R-23V Dual Cathode Oxygen Sensor is a simple, direct replacement to the Drager Werke* / North American Drager* 68-50645, Hewlett Packard* 15201, P.P.G. 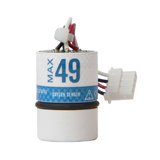 * 505055-001 and Oxitron* 3710, offering long life and fast response. 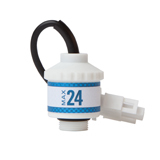 The R-24 Oxygen Sensor is a simple, direct replacement to the Siemens* 9004979 E 347E and various other equipment using the 3-pin molex connector. For use with Caradyne equipment. For use with Stephan equipment. Pack of 2 sensors. For use with GE Datex Ohmeda Giraffe. For use in Datascope Equipment, replacement for 0600-00-0002. 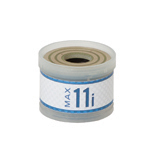 Specifically designed for medical applications the T-1 is a maintenance free device that requires only a simple periodic calibration to ensure reliable and accurate performance. 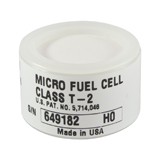 Specifically designed for medical applications the T-2 is a maintenance free device that requires only a simple periodic calibration to ensure reliable and accurate performance. 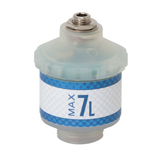 The T2 is designed for use in anaesthetic applications and has excellent resistance to interference caused by anaesthetic gases. 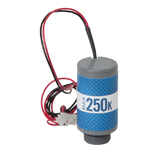 For use with the Teledyne TED60T, TED191, TED200T7. 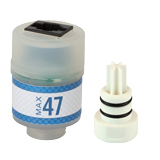 Offering long life and fast response, the high quality T7 replacement sensor is specifically designed for medical use, this sensor also exceeds the demands of a modern operating theatre with added protection against long term effects of nitrous oxide. Best of all, the T7 creates additional savings while providing superior quality. Replacement for Mallinckrodt & Versamed Ventilators. 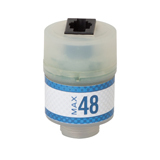 The Max-16 has been designed for use in the PB vent 840 and 860 series. It is currently also the sensor of choice for the Versamed iVent 201, where you should anticipate a useful sensor life of 1 year. 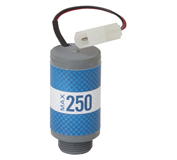 Weak acid electrolyte oxygen sensor Max 250 Series. Without Standard O Ring. For use with Blease Front Line ventilators. 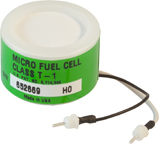 For use with SLE 2000 HFO. Designed for use in the SLE* 2000 ventilator, the KE-25 is an extremely long life galvanic oxygen sensor.